. يعمل The Penthouses على ضمان إقامة مريحة لضيوفه من خلال خدماته الممتازة وحسن ضيافته. يقدم العقار تسجيل وصول/خروج سريع, تخزين الأمتعة, صف السيارات, غرفة عائلية, مرافق للشواء لضمان الراحة القصوى لضيوفه. تنعكس أجواء The Penthouses في غرف الضيوف.تلفزيون بشاشة مسطحة, مكيف هواء, مكتب, شرفة/ تراس, ساعة منبه هي بعض الميزات الموجود في العديد من الغرف. يقدم الفندق مجموعة واسعة من وسائل الراحة المتنوعة، كمثل: حوض استحمام ساخن, ساونا, مسار جولف - ضمن 3 كم, حمام سباحة خارجي, سبا. اكتشف مزيجاً ساحراً من الخدمة الاحترافية والخيارات الواسعة من وسائل الراحة والمتعة في The Penthouses. يطلب العقار مبلغ تأميني نقدًا أو ببطاقة الائتمان قيمته 500 دولار أسترالي. يجب أن تكون بطاقة الائتمان مملوكة لنزيل مسجل. أما البطاقات المدينة، فهي غير مقبولة. The view is second to none. The apartment is huge like a house. Though dated, it's quite clean. Will come again! The unit is not a new property but it is spacious, clean and has a good view. Very bad experience with mediocre customer care. Disrespected by one of the staff, totally uncalled for. More customer service training needed for sure. The accommodation was otherwise of high standard, with very specious clean rooms. 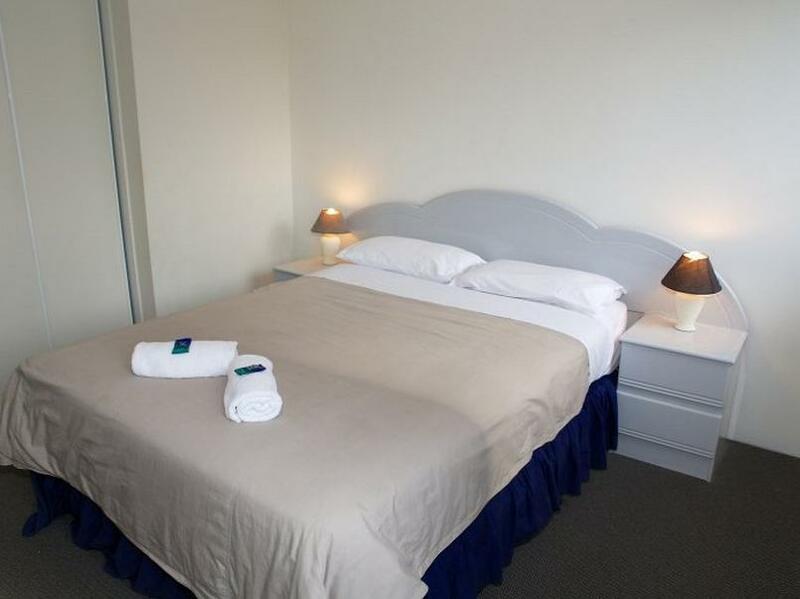 Comfortable stay, near to the bus stops to main attractions, swimming pool, BBQ, tennis court, reception was very helpful. Wonderful! If you only have one night to see the Gold Coast, go elsewhere and I recommend you stay right in the heart of where you want to be (like surfers paradise or broadbeach). But if, like me you want more than 2 nights with your family, you can't do better than the wonderful, fabulous Penthouses. We stayed a glorious 16 nights during school holidays here, right directly on the beach!! It was about a 5-10min walk to two SLSC's where there was lovely restaurants on the beach. 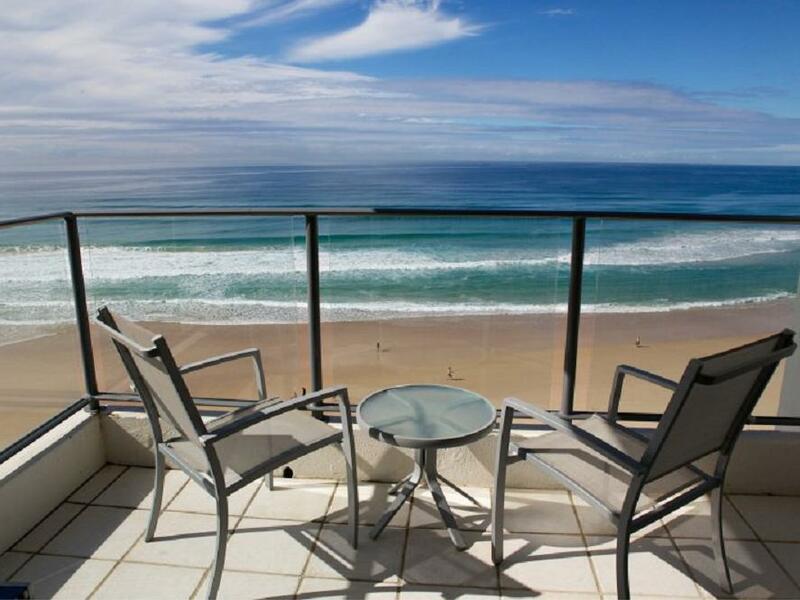 Or about 20 minutes walk on the beach to either Broadbeach or Surfers. The staff were so friendly and wonderful (a big deal for the Gold Coast where I've found them in the past to be unilaterally rude) and there was so much for my 9 year old twins, nephew and sister and husband and I to do! Tennis Court, table tennis, pool, spa, beach, walks to nearby parks, bike riding. And of course we went to theme parks etc etc. I really can't recommend this place enough, if you are in a terrible rush and want to see the Gold Coast like NOW, stay at Surfers. If you want a lovely, nice place to stay and see the GC without stress, stay here!!! It was lovely. The view was incredible and the space in the 3 bedroom apartment was great. However, we were surprised to find out we were required to buy any extra toilet paper we might need. Only 2 rolls for a 7 day stay for 5 people was not enough, and it was a nuisance to have to buy more ourselves. Also we were only given 5 bath towels for 5 people for 7 days, which meant we had to wash the towels a few times which was also a nuisance when you're out sight seeing all day. (There is no housekeeping during your stay). However! when i called to see about purchasing a shaver from the small amount of items they sell at the front desk, the Manager told me they didn't sell them but she would find me one. And all of a sudden one was delivered to my door free of charge. That was very good service! and I really appreciated that. Cleanness of the rooms, Huge n comfort rm for big family(12 adults n 2 childrens), good location facing sea view. We feels comfort and happy stayed with a huge rooms(3rm bedroom apt unit) , its cleanness,layout/arrangment of furniture etc. A complete household appliances that allowed us to cooked our own foods, washing/drying n ironing our clothes. Suggestion to Penthhouses owner - Pls install bidet/water gun inside the toilet(beside toilet bowl)for cleaning n washing for muslim visitors. Very good place to stay. Carol was very good to inform us anything we want and also made sure that we were comfortable there. Door step on to the beach. Close to shops and restaurants. Affordable. transferred to this apartment after out flight got cancelled because of the floods and cyclone in jan. this apartment was furnished perfectly, clean, and had the best views of the beach. the rooms were comfortable, the kitchen and the lounge room were also great for the cookups with mates and bonding time and indoor games. the staff was also very helpful and hospitable. wouldn't mind staying here again. 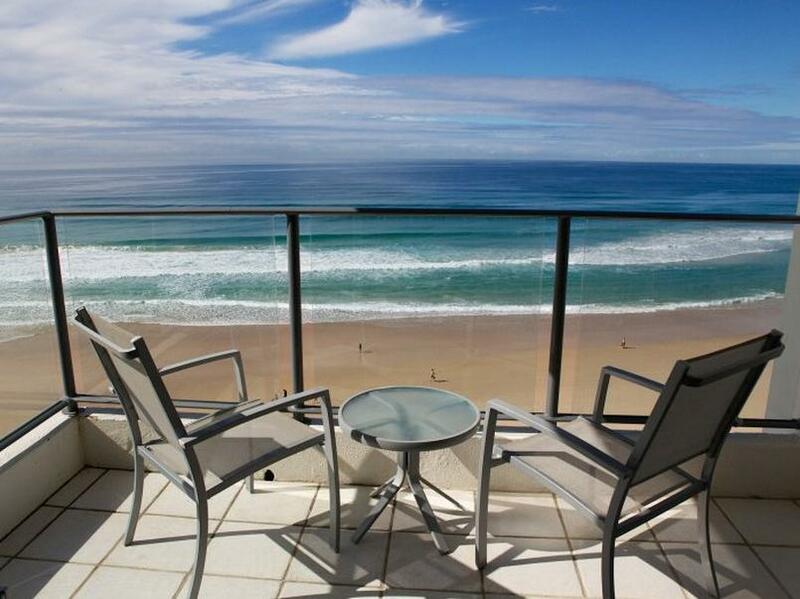 The Penthouses is very closely located to the beach. Basically, your view is the beach front. Although the apartments are a little bit old, but the rooms are big. The carpark only allows a car height of 2m. This means that a MPV may not be able to go into the basement carpark, which happend to us. Luckily, we were allowed to park at the temporary lots for check-in which is a nice gesture by the manager. The apartment have washing machine, dryer, cooker hood, microwave oven, baking oven, fridge, and all the cooking utencils. You just need to buy some groceries and you can cook up all meals. Do not that its best you have a clean up of the apartment even if it has been cleaned as the floor were still sandy.